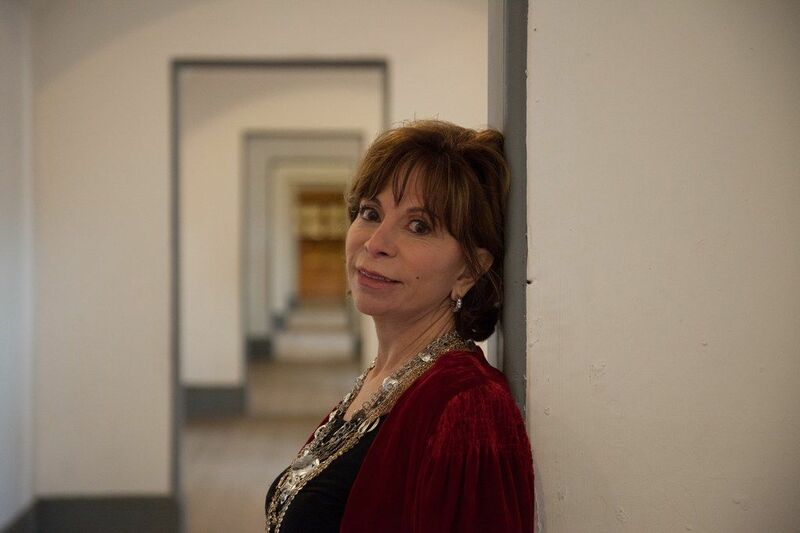 BOOKMARKS, with support from the Salem College Center for Women Writers, is presenting an evening with best-selling author Isabel Allende. “A Conversation with Isabel Allende” will take place on Thursday, May 2, 2013, at 7 p.m. in Hanes Auditorium in the Robert E. Elberson Fine Arts Center. Born in Peru and raised in Chile, Allende is the author of many bestselling novels, including: The House of the Spirits, Eva Luna, The Island Beneath the Sea, Zorro, Portrait in Sepi, and Daughter of Fortune. She also has written a collection of stories; three memoirs, The Sum of Our Days, My Invented Country, and Paula; and a trilogy of young adult novels. Her books have been translated into more than 27 languages and have become bestsellers across four continents. In 2004 she was inducted into the American Academy of Arts and Letters, and in 2010, she was awarded the National Prize for Literature, Chile’s most prestigious literary award. Allende will visit Winston-Salem as part of a tour for the hardcover release of Maya’s Notebook, which was published in English on April 23. The novel is set in present day and tells the story of a 19-year-old American girl who finds refuge on a remote island off the coast of Chile after falling into a life of drugs, crime, and prostitution. This will be Allende’s only appearance in North Carolina. Allende’s books will be on sale before and after the event, and a book signing will follow her presentation. Doors open at 6:15 p.m. and the program begins at 7 p.m.
Tickets, which are selling quickly, can be purchased through bookmarksnc.org or by calling Brown Paper Tickets 24/7 ticket hotline at 1-800-838-3006. Proceeds benefit BOOKMARKS, a Triad-based literary nonprofit organization. All sales are final. Ticket prices are $18.00 for general admission if purchased in advance and $25 if purchased at the door. Questions for Isabel Allende may be submitted by e-mailing: info@bookmarksnc.org. For more information, please call 336-460-4722 or email info@bookmarksnc.org. BOOKMARKS is proud to partner with the Salem College Center for Women Writers, directed by Aimee Mepham, interim director of the creative writing program at Salem and visiting assistant professor of creative writing. The Center encourages young women at Salem College to express their writing through coursework in creative writing as well as through extracurricular activities and events; sponsors the annual International Literary Awards competition; sponsors the annual spring semester student reading event, Spotlight on Student Writers; underwrites a January Term writer-in-residence (Karen Palmer for 2012); and sponsors writers who visit campus to read from their works and hold craft talks, which are free and open to the public. Media sponsors for the event are Que Pasa, WFDD 88.5 FM, and The Winston-Salem Journal. BOOKMARKS is a literary organization based in Winston-Salem whose vision is to create a community of passionate readers. This is achieved through triad-based author events, an Authors in Schools program throughout the year which reached 4,000 students in 2012, and the premier annual free book festival in North Carolina. The ninth annual book festival will be held on September 7, 2013. Please visit bookmarksnc.org for more information.